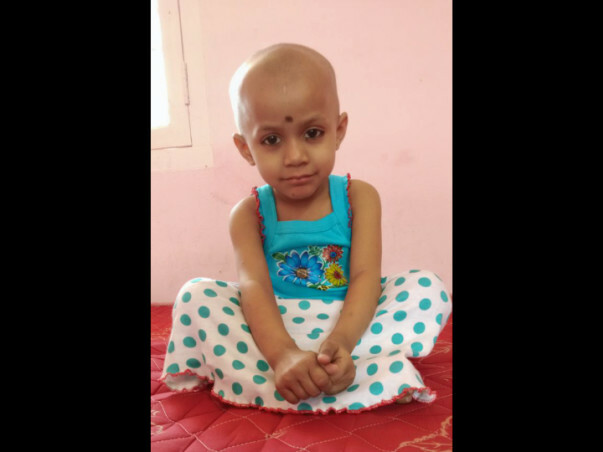 I am writing in capacity as a well wisher for Miss Khushi Kumari, aged 3 years hailing from a village in Bihar. 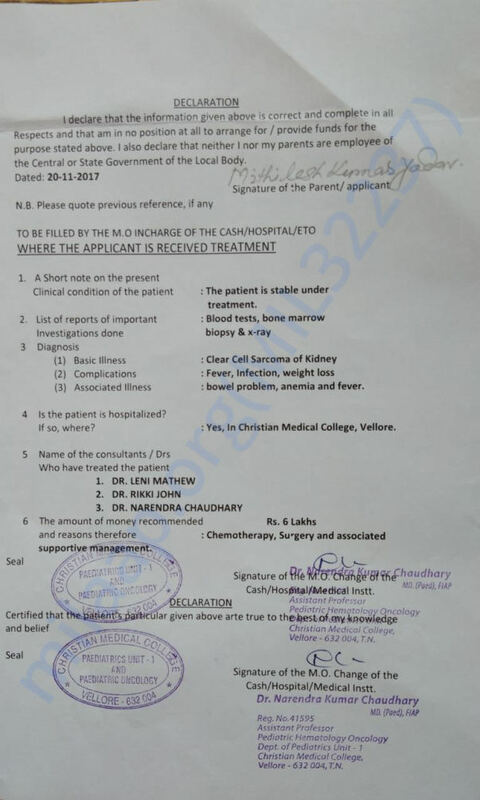 She has been diagnosed with Clear cell Sarcoma of Kidney and presently is being treated at Christian Medical College, Vellore. 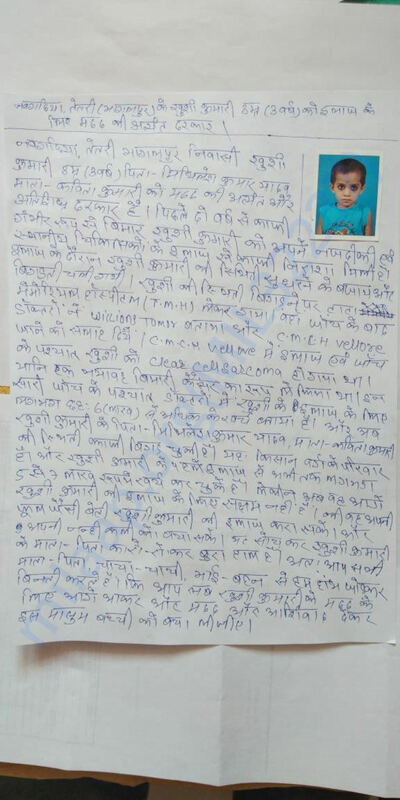 Her father, Mr. Mithilesh Kumar Yadav is solely responsible to take care of her medical expenditures. His meagre salary of Rs. 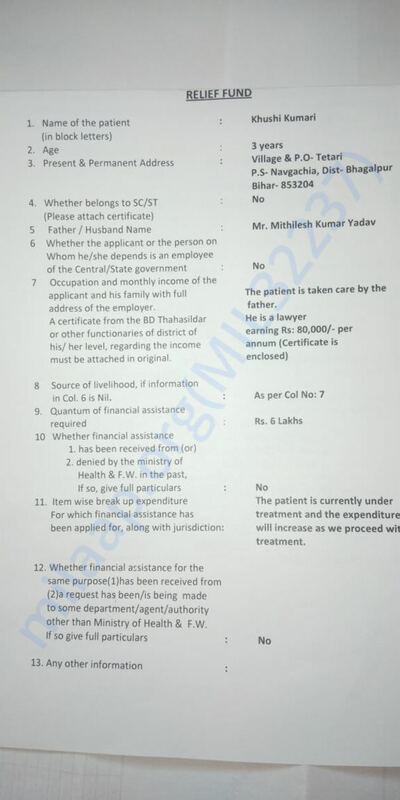 80000/- per annum is not sufficient to even provide basic facilities required for her Cancer treatment. Her mother, Kavita Kumari is a housewife. 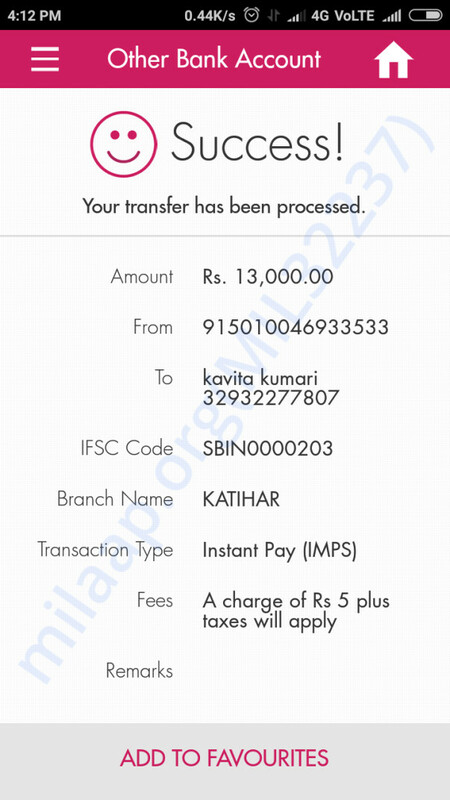 As per the medical reports, attached herewith Khushi’s treatment expenditure and costs would require an amount of Rs 6Lacs. This includes various tests, chemotherapy and surgery.The family is shattered and are seeking generous donations. They have even applied for CM Relief Fund, but in vain so far. 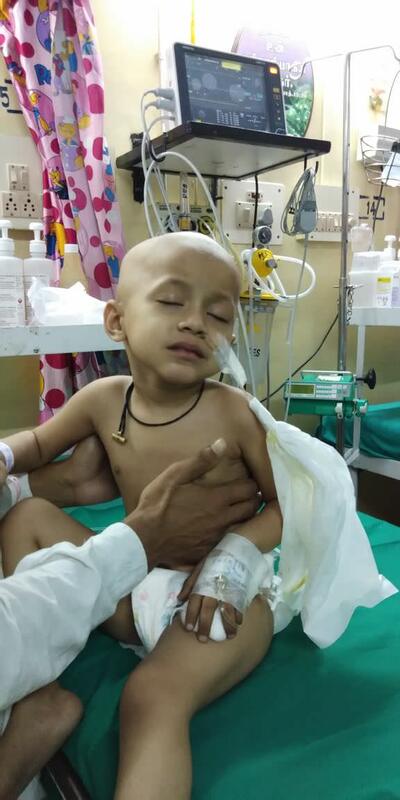 I write to you to discuss a possibility of raising funds for Khushi’s treatment. Any little contribution from your end or other partner organizations you work with, and possibility to discuss this furhter with relavant authority/authorities would be of great help. 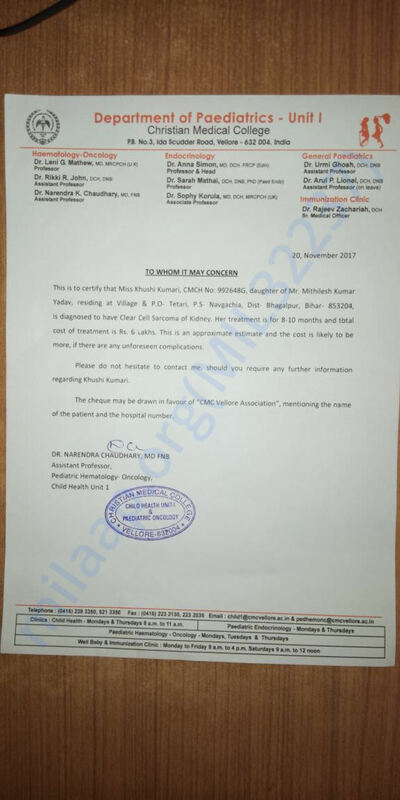 There is nothing more worse for a parent to see their three year old battle with such a grave disease and it is more saddening for them to be unable to support for her medical expenditures. Being a student myself, I will try my best to support them financially in what so ever little way I can but more than that I am determined to help spread a word for them. 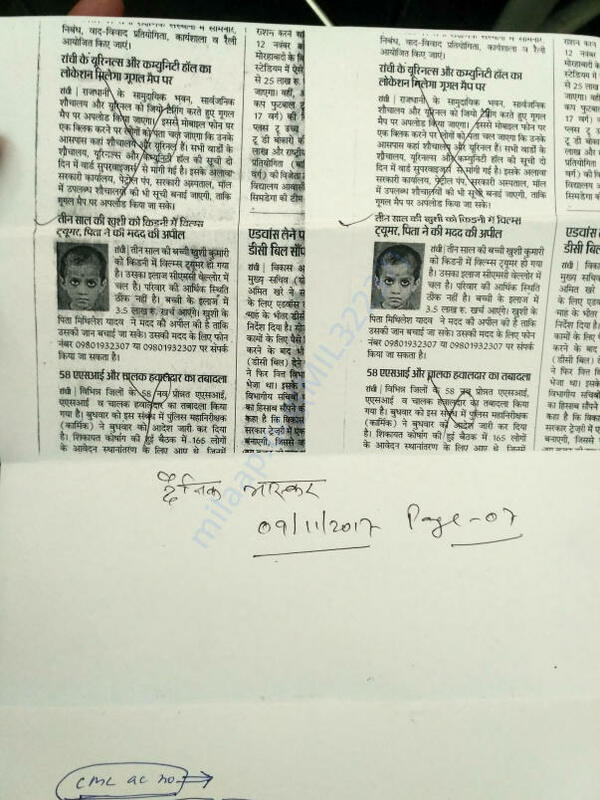 I hope you would look into the matter and contact me or Mr. Mithilesh Kumar Yadav. 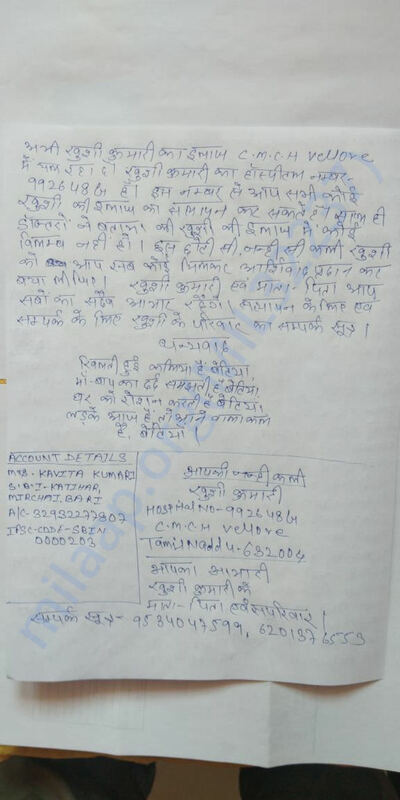 Khushi’s medical reports, and various documents are attached herewith. I am hopeful to hear a positive reply from your end. 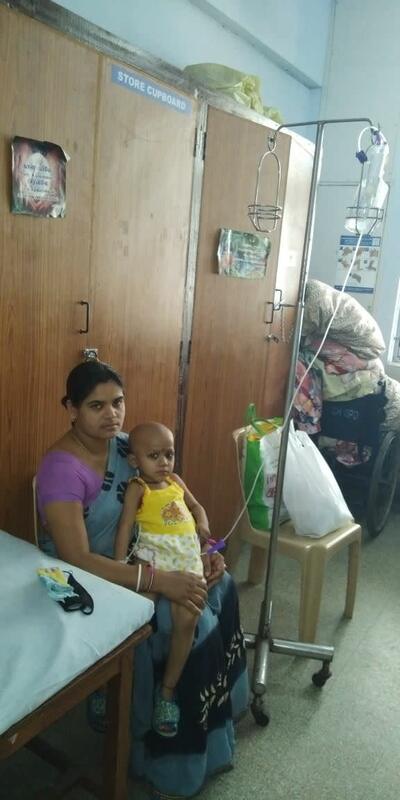 Khushi's 6th chemotherapy treatment (21 days cycle) was done from 14th to 17th March. On returning to the room after treatment she got very high fever and also a severe stomach pain. Doctors say that there is some infection in her stomach which may be chemotherapy's after effect. She has remained in ICU for the past 3 days, she is slowly recovering now. 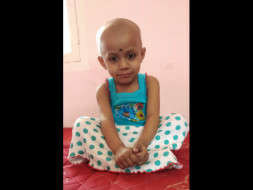 As commited on facebook i am hereby sharing some photos of Khushi during her treatment. It's very painful to see her go through the pain. Personally I don't support sharing tormenting images but how else you would come to know the genuineness of the cause. Sincere apologies if I have not been able to express myself in a polite way.